Up until December 2006, I was treating my body as well as I thought was appropriate. I ate low fat, high fiber foods including grains, skim milk, fish, and meat. I didn’t like non-starchy veggies, but I thought I was doing just fine. I exercised aerobically 4-5 days a week for about 40 minutes a day. One of my loves was to snack on popcorn, which I believed supplied me with healthy fiber. Then, in December 2006 I had a life-changing event. My daughter (who was staying with me and my wife while her family was transitioning to Portland, Oregon from Charleston, South Carolina) was sitting on our living room floor while I was standing with my laptop in my hands. All of a sudden I felt a shock traveling from the computer up my arm. I dropped the computer on my sofa, and my daughter exclaimed, “What’s wrong?” I said that I just got a shock from my computer. Her response was, “Dad, don’t be so melodramatic.” A week later, I had a stroke. The stroke must have occurred while I was sleeping. When I woke up, my grandson was at our house, and I attempted to ask him if he wanted to go out for breakfast. But the words could not come out. I was unable to speak. I felt fine, but I couldn’t speak. My wife, who is a nurse, realized what was happening, and drove me to the hospital. I was lucky. My doctors explained that the “shock” that I thought was from my computer was actually a TIA (Transient Ischemic Attack). Many people who have a stroke will experience a TIA days or weeks before the stroke as a warning sign of an impending crisis. I was not aware of such a warning sign, so I paid no attention to it. While in the hospital for a week, my cardiologist and internist put me on three types of blood pressure meds, a cholesterol med, and an acid reflux med. My vascular surgeon put me on 81mg aspirin and Plavix. Their medical advice was for me to take these meds for the rest of my life. Within three weeks, I was able to speak normally. I returned to work after six weeks. After my stroke, I knew that I needed to get educated about good nutrition. So, I began my reeducation. 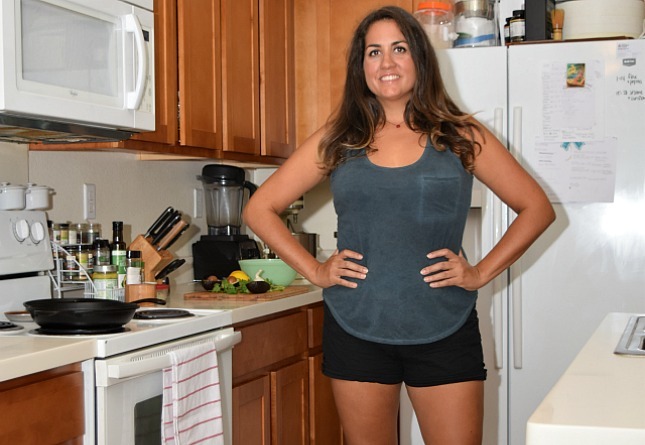 In April 2013, I enrolled in a 5-day nutrition course that changed my life. I was excited because I believed that this was going to be the program I had searched for to confirm that what I was doing currently was correct. I hoped to learn a few new things to hone my skills and update the knowledge that I already acquired. This program wasn’t about basic nutrition; it was about primal nutrition?the foods and lifestyles that allowed our species to thrive for 2.5 million years. What I learned in those informative and enlightening five days did change my life. I learned that almost everything I was doing was wrong. That blew me away! Among other things, I learned that most processed foods were making us sick. I learned that modern grains of any type were one of the worst things I could put in my body. I learned that healthy fats were essential, and anything that had low fat or no fat was unhealthy. I learned that all the fruit I was eating contributed way too much sugar to my body, and leafy greens and other multicolored veggies were required at every meal. I also learned that exercise needed to be efficient, sleep needed to be restorative, and that sitting most of the day was almost as bad as smoking. Wow! So, I traveled back to my home in Charleston, SC and informed my wife of what I learned. She was not happy. But, she allowed me to make a 30 day test of my new fangled ideas. We removed all the processed foods, grain products, and sugar aliases from our pantry and fridge, which added up to seven grocery bags that I took to my local food bank. We joined our local CSA (Community Supported Agriculture) program to obtain locally grown, organic veggies weekly. The foods we started eating consisted of grass fed beef and wild caught fish; all kinds of shellfish; free range chicken, liver, and eggs; all kinds of vegetables raw and cooked; some deeply colored fruits and occasionally nuts and seeds that we soaked overnight. At that time, my meds were still the same. My HDL was 48, my triglycerides were 120, and my resting blood pressure was 137/87 even with three blood pressure meds. I weighed 184 pounds. My physicians’ advice was, “Continue to take your meds.” Unfortunately, my physicians were ignorant of the science of primal nutrition and lifestyle, as I believe most physicians are. Today is 20 months since beginning an active primal lifestyle. 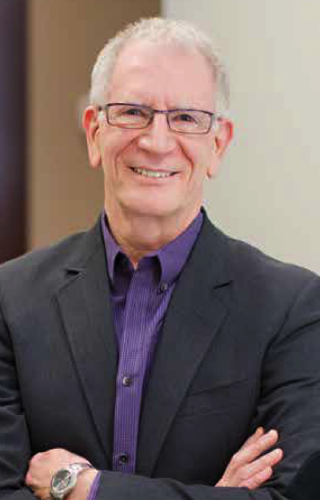 I am still practicing periodontics, and I plan to continue treating my patients for the foreseeable future. As I am writing this, my resting blood pressure is 119/72, and my pulse rate is 54. My HDL is 76, and my triglycerides are 112. I weigh 154 pounds. It has been stated that it takes one month of repairing a nutritionally damaged body for every year of the manifestation of a disease. I am still a work in progress; I have much farther to go to regain optimal health. I am patient, but I am diligent and motivated. I can’t believe the way I used to live was slowly destroying me. I can never return to the way it used to be. I am a changed person, and I want to spread the word. The doctors who I depended on in 2006 while I was having a stroke were exceptional. They saved my life, but I had to learn how to get healthy on my own. I only learned what was going on in my body after I learned about evolution and how our ancestors thrived. Why did’t my physicians help me understand why I had a stroke, and how I should improve my lifestyle to get healthy? Why didn’t my physicians explain how I should wean off my meds over time? The science is there, but most of the medical profession hasn’t gotten the message. While making a change in my life, I also am making a change in my patients’ lives. I teach all my periodontal patients primal nutrition and lifestyle. When you enable each cell in the body to function properly by giving it what it needs?which is nutrient-dense real foods and exercise and sleep and reduction in all types of stresses?each cell will help all other cells to thrive. Your gut will become healthier; your overall body will become healthier; and your mouth will become healthier. In June of this year, I received the designation of Certified Functional Medicine Practitioner, and in September I received the Primal Blueprint Certified Expert designation. I’ve reenergized my life and reengineered my professional career. I offer the knowledge that I have learned to all my patients and to all who want to listen. It is so refreshing to see medical professionals spreading the news about real health. Thank you for sharing your story, Doctor. The truly sad thing is not just that healthcare professionals are not trained in nutrition, but that those who are get trained with the exact opposite knowledge of what constitutes a health diet. +1 on that! You hit the nail on the head. Great story Dr. Alvin! Thanks for sharing! Amazing story! You truly are blessed to have a nurse for a wife. My Mom was the first to identify a family friend who was having a stroke and likely saved her life. I’m beginning to realize that what I thought was ‘healthy eating’ over the past few years may be anything but (an over-reliance on ‘quick’ healthy foods/meals but not ‘real’ food.) Thank you for the reminder to reeducate myself! 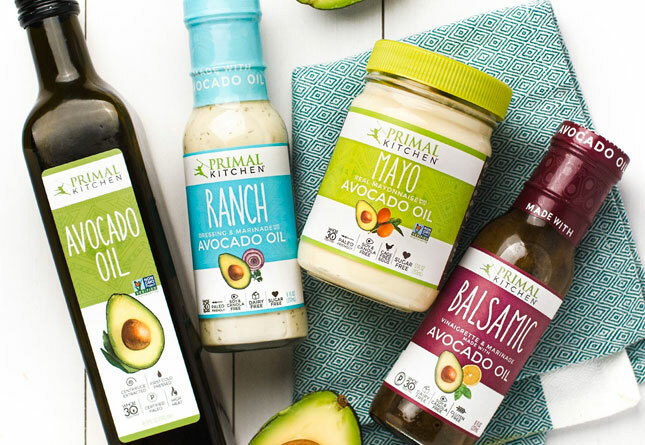 Since you’ve gotten into the primal lifestyle, I wonder if you’ve also investigated primal oral health, healing, using Westin Price’s ideas for diet and supplementation. It’s all connected. I’d be interested in hearing your thoughts. I’m curious about that too – any insights on preventing cavities? I’ve read on a few paleo/ancestral health blogs that with correct nutrition they healed cavities, but others poo-pooed the idea. What do you think? I’ll do nearly anything to avoid getting another shot in the gums. I believe that the best way to heal and prevent cavities is to avoid all sugar, including that in dark chocolate and dried fruit. A number of studies have shown that people with cavities, gum disease, bad breath, etc. have different bacteria in their mouths than people with healthier mouths. You can now buy probiotics that are designed to dissolve in your mouth and repopulate it with healthier bacteria. (Those little suckers are so pivotal for our total health) EvoraPlus is the brand my husband and I use, but if you google “oral probiotics” you’ll find a few other brands and some more info. re: … any insights on preventing cavities? Dial grain intake to zero. Dial added sugar intake to zero. The fossil record shows that dental health became a problem as humans transitioned to agriculture and began consuming grains. The story of the spread of refined sugar is also a story of a cavity epidemic. An oral probiotic is like worth a try as well. do we even need a periodontal specialty? Having been the victim of PD surgery, my thinking today is that it was 100% avoidable with a diet change that I didn’t know about at the time. Even so, I was told then I’d soon need another round, but I arrested the problem with diet. Once you have gum disease, you probably have tartar under the gum that acts as a splinter would in the skin of your finger. The tartar is actually made up of calcified bacterial byproducts among other things that attach to the root of the tooth as barnacles would attach to the bottom of a boat that sits in the water. To get your finger to heal, you must remove the splinter first. To get the gum tissue to heal, you must remove the tartar under the gum first. Once that is done, usually conservatively with a deep cleaning, then the gum tissues have the potential to heal with the support of a nutrient-dense diet and a healthy gut microbiome. re: … conservatively with a deep cleaning, then the gum tissues have the potential to heal with the support of a nutrient-dense diet and a healthy gut microbiome. Thank you for the reply. Needless to say, that alternative was not offered to me at the time (and at that time, microbiome wasn’t even on the radar). Even now, I suspect that some of your patients presenting with PD decline this non-destructive alternative. Part of why I managed to dodge a second round of surgery was my DDS-P was forced into retirement by macular degeneration. I’m not going to be the least bit surprised if it’s learned that MD is largely or entirely avoidable with diet. Thank you for sharing your story and best wishes in spreading the word. Someday the primal ay will be the de facto nutritional advice, but it will come from the grass roots. The reason is simple. Pharmaceuticals and huge mutli-national agribusinesses set our national policies and priorities involving health care, food regulations, food production and nutritional guidelines. Serving their interests is at odds with serving humanity. They know they would be the big losers if we were to do what’s right. So pharmaceutical companies “discover” new diseases (mostly just variations of the same inflammatory problems caused by a modern diet) that they can create patented medications for. They in turn use their influence to include these diseases in the latest official manuals on diseases and treatments. Then the pharmaceutical companies and the schools teach doctors to identify and treat these manufactured diseases with patented medication. Then the insurance companies are educated on these new diseases and cures so they can then underwrite their treatments. If the insurance companies or Medicare won’t underwrite the treatments, then it’s game over as no one can afford these medications on their own. Agribusinesses make sure that grains and dairy are considered legitimate food groups and create out of whole cloth ideas like we need 7-11 serving of grain a day. This is taught to all med students, nutritionist and school children. The result is we have the American Diabetes Association actually recommending whole grains and a low fat diet to diabetics which is the one thing that is sure to kill them. Same with the Heart Association. Their recommendations actually create heart disease. This is why it is up to us to bring the change from the ground up. There is zero chance to affect it from the top. Spot on. That’s what greed and legalized corruption get you. Much the same here though not as bad. We have a much better electoral system and stricter (though not strict enough) election funding laws which help mute the influence of ‘Big Pharma’ and agribusinesses, but it’s still there. Oh my word, how well put. Hear, hear! Most I know would say your post was just conspiracy theory. I say your post is a great example of perspective and common sense. Another great Friday story, Alvin, and noteworthy that it’s from a member of the medical profession. You didn’t tell us how your wife felt about the primal lifestyle once you actually switched over. Today, I am 99.9% Primal. My wife is about 85%. Congratulations! A very interesting story. And thanks especially for noting that a shock-like sensation may be a symptom of a TIA. Who knew??? After reading your story, I googled “shock symptom TIA”, which produced many lists of symptoms, but none of the several lists I then checked mentioned anything like what you experienced; tingling was the closest. I love that. I hate all the doctor-bashing that can go on in the paleosphere. There will always be a time and a place for conventional, Western medicine. But the more and more people who self-educate and become successful, the more real nutrition can trickle into the medical profession and override the “it’s just a fad diet’ mentality. True that. In a trauma situation nothing beats good ole’ western medicine in a well funded facility. They are pulling off some life-saving miracles these days.Bummer is, after the crisis is over, these same doctors may also slowly kill you. Not intentionally of course. Exactly. Doctors are great at unclogging the artery, but terrible at preventing that plaque from forming in the first place. I know this firsthand from being a doctor myself. Alvin, I loved your story. Congrats. Let this be another example of someone who wasn’t really large and looked pretty healthy and NORMAL. Health has so much more to do than what’s happening on the outside. I applaud your story. You are so right about most medical professionals not knowing proper nutrition. I am glad you have embraced it and are passing it on to your patients. You will be able to influence many folks for years to come. Keep up the great work! I have a cousin who is a nurse practicioner in pediatrics. she is big into eating healthy and exercising. I was eating a meal with her recently and she made a comment about how she only eats maragarine and its so much better for you than butter, wont clog your arteries, etc etc. someone else with us said that’s not true and asked me to tell her why. she said, ‘yes shawn, tell this medical professional why butter is good for you’…and there it is, the ‘god complex’. medical professionals don’t want to be told anything when it comes to health and nutrition-they think they know it all. I made few comments and changed the subject, wasn’t worth the ensuing debate. Ack! I would probably say…. “well, I don’t know anything other than the latest medical advice I’ve read that shows that butter is the best choice if you eat any spread but I’m sure you could show me something that has come out in the last few days that refutes that. I would love to see what your research has found in the last 2 years” or maybe I would lose the courage…… I don’t like confrontation. How’s about that weather? Nice to see the sun this late in the season. Congratulations on your success. Thank you for sharing it and thank you for the valuable information you’ve shared, particularly the early sign preceding your stroke. Of course I value the daily apples that Mark shares with us, but the Friday stories are my favorites. Success, at the end of a hard pathway, has to touch many of those who suffer, but find hope in seeing others, just like them, who broke free from the suffering. I use coconut oil and baking soda as my toothpaste now. One key thing I’ve come to understand when dealing with ‘experts’ of any kind including medical professionals is to distinguish between those that have critical thinking ability (and use it) and those that have good memories and got their degrees that way. To succeed in formal education a good memory really helps. You can in fact get a Ph.D. or M.D. etc. with pretty much that and hard work. It doesn’t necessarily mean you have a good grasp on underlying concepts or the ability to identify their shortcomings and grapple with competing theories. Now there are many with good memories and that are also very good at critical thinking. But once you realize that a degree doesn’t mean much without critical thinking ability, I think that is a healthier way to view any ‘expert’. Also do they question themselves? Do they say, I am probably wrong, let me try and prove that. But then they can’t so then….maybe….they are right. Again many with degrees have good memories and critical thinking and self-questioning. But most, in my experience, do not. Al is clearly one who does possess it all. I pick my doctors based upon their personal profiles. Ones that are athletes, have a sports medicine background, have forward thinking diets, or have experience with Chinese medicine, homeopathy, or herbs always get my attention. I figure they all went to med school and passed their certifications so I want someone who will understand where I’m coming from and shows an open mind. Someone who thinks eggs cause heart disease or tells me not to surf for six weeks is not going to cut it with me. I agree with your asseemnet 100%. I worked in a university research lab (engineering) for nearly 20 years. An advanced degree like a PhD is mostly indicative of…the ability to secure funding and persistence, it is, by no means, evidence of critical thinking skills or self-questioning behavior, which are key to good science. Alvin, great story. Do you have any experience with gum disease improving by being Primal. I have been Paleo for 2 1/2 years and my dentist of 30 years has stated my gums have never looked better and my teeth are in great shape. I also practice oil pulling with coconut oil. Do you have any information on the benefits of oil pulling? Keep up the good work, you look great. To answer your question about oil pulling, I recommend oil pulling with coconut oil. There are a few peer-reviewed research articles showing that oil pulling is as effective as chlorhexidine in reducing the bacteria implicated in gum disease. I used to have ginivitis quite badly, and needed to go for perio work every 3-4 months. When I went to the dentist after being primal for about 6 months, I asked if it were possible I would need perio treatment anymore (I had slacked on making my appointments, so I hadn’t gone the whole time I had been Primal). The lady at the desk, with quite the grand attitude said, “You don’t ever get off perio. Once you need perio work, you always need it.” Well, at that visit, I had nothing deeper than a 2 (and to compare, I had some 4’s and 5’s before), and the hygenist kept asking me how I did it. She couldn’t believe it. The denist was also shocked. So I was very happy to tell the person at the front desk that I wouldn’t be needing any more periodonal appointments! I actually didn’t get back to the dentist for over 6 months, so now been Primal for a year. At this check up, there was hardly anything for her to scrape, and it was the shortest dentist visit ever! She kept going on and on about how healthy my mouth was. I of course, told her about Primal! That’s killer to have nothing more than a two! Congrats. Great story! So inspirational. Get away from those processed foods! Congratulations on both your reclaimed health and your certification. I wish you were my peridontist. He’s definitely a Standard American Diet guy. I mentioned coconut oil to him at one point and he just about fainted dead away. Ironically, it was after my gums had improved and he admonished me that eventually I would still have to have surgery on the one side of the mouth we hadn’t done. Ah well. No offense on him — how is he to know? Maybe you can do research into the best diet for healthy teeth. I have had so many crowns and a root canal since going primal. Maybe all the decay was leftover from before (I didn’t go to a dentist for several years) but my teeth are ruined now. I’d like to believe I’m doing better for my teeth by eating Primal but so far my experience hasn’t been reassuring. Hi Dr. Danenberg – thanks for sharing your story and way to go on the reversal in thinking, it isn’t easy to go against the grain (ha). Sick, chubby, people all around me keep thinking I’m the one with the problem. It’s wonderful that you educate the patients but it’s also time to start talking to your peers. Do you teach? Just a thought. You’re so precious! Thank you for sharing your story. I, too, congratulate you on your health, well being, and certification. Keep up the great work! One question Doc. Have you been able to stop the bp Plavix meds or are they still for life?? I am a work in progress! I am only taking one BP med today, and my vascular surgeon said that my ultrasounds are healthy and I could probably stop the Plavix. Alvin– Just wonderful and encouraging to read this post. I missed it on Friday as I was busy at work standing up at my work-desk. 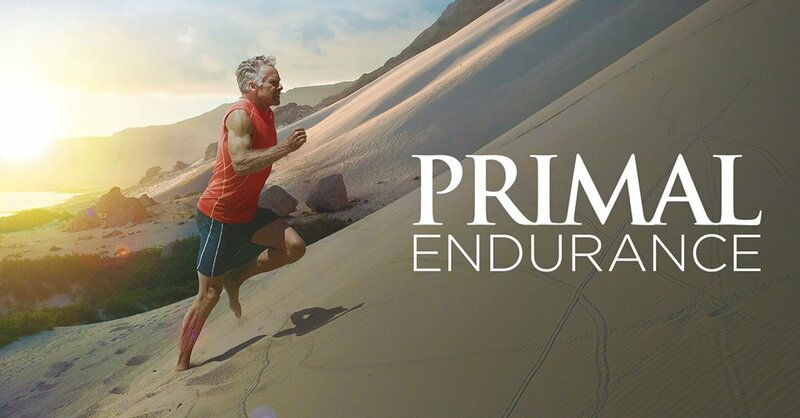 Primally speaking, MDA has made a great impact on my life through nutrition and exercise. I am about your age and I have seen similar results since going primal at to BP and other health indicators. Believe me Alvin– you’ll not only continue to improve, you’ll regain any lost “youth”! God bless- and keep up the great work. This time next year Imma be a doc and frankly, until recently I was scared and frustrated with how could I possibly help +80% of my patient population – that is those with the modern chronic diseases. 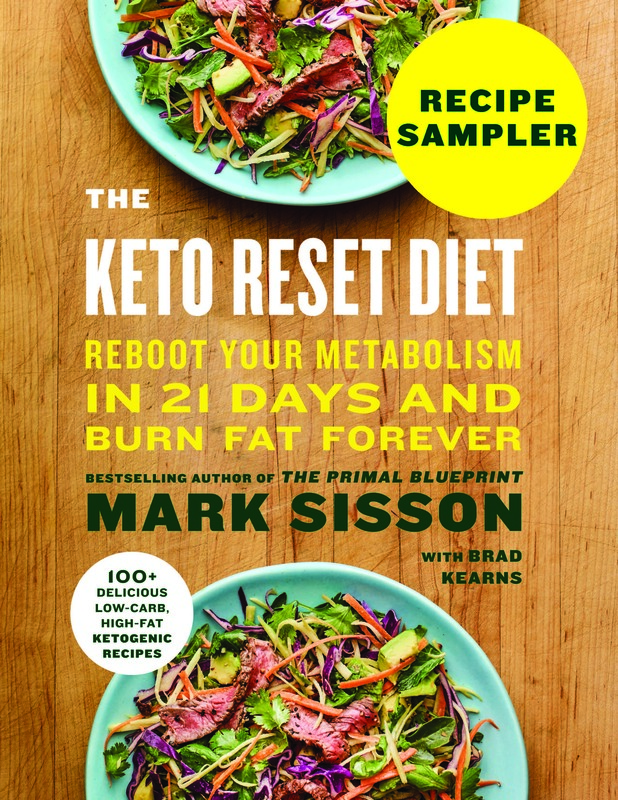 I am so grateful I took iniciative and did my own research beyond obsolete med school books and into the newest evidence based studies – which essentially led me to paleo principles. And most importantly, congrats for your massive turnaround and amazing progress 🙂 you are an inspiration! That was a most enjoyable and refreshing read – being that you’re in the medical profession. Congratulations! I have mentioned in the comment section of another Friday real life story that my husband had high blood pressure. His doctor told him eventually he’d have to go on medication and there was nothing much else he could do about it (because he already didn’t smoke, was not over weight, exercised daily, ate a ‘healthy’ diet by CW standards.) But my husband refused to start ‘taking pills’ and started the Primal diet. Now he’s less than one year into it, he has normal blood pressure. From readings which fluctuated around 140/110 to readings which fluctuate around 120/85. No other changes to lifestyle were made, just the food! Well, Alvin, I must add another ‘Thanks for sharing your inspiring story’ comment. It truly is an encouraging read. And, I’m going to check out your web page next. My gum story begins with a 5, lots of 4’s, mostly 3’s and a couple of 2’s. Unfortunately that was after 7 to 8 years of LCHF and also 45 years of Type 1 diabetes. But then i found X-Factor Gold, High Vitamin Butter by Green Pastures. Per the Westin A Price Foundation, I started eating half a teaspoon per day over the last 2 years. My last gum measurements were a few of 4’s and then a split between 3’s and 2’s. My gum story will continue as I read your web page. Thank you, very much for your efforts. In my clinical study that I referenced in a comment above, I provided my 13 patients with (1) Green Pasture’s Royal Blend of fermented cod liver oil with fermented high vitamin butter, (2) Green Pasture’s fermented skate liver oil, and (3) Oregon’s Wild Harvest organic kelp powder. Thank you for sharing your story! I am studying physiotherapy and am very interested in both stroke and primal eating. I just had a few questions regarding your stroke if that’s ok? Firstly, what side-effects did you/have you suffered as a result of your stroke? And secondly, do you feel primal eating has helped your rehabilitation with regards to any side effects? For example, you said initially you were unable to speak- is this something that was resolved in hospital or through rehabilitation? It is amazing that you are able to be practising again; this is something I rarely see in stroke survivors, and your story is so inspiring. I ask these questions because when I qualify, I would one day like to run a practice which involves sound (primal) nutrition in all areas of neurological conditions, as I have seen how it has changed so many lives, like for example with Dr. Terry Wahls. The only obvious result of my stroke was I couldn’t speak. I had no muscular dysfunction. My BP, however, exploded to 200+/120+ – scary. I was able to regain my speech within days without any rehabilitation and was able to return to my practice within a couple of months without any rehabilitation. I was not eating Primal at that time. It was about 6 years after my stroke that I learned about a Primal lifestyle. If I were living a Primal lifestyle for all of my adult life, who knows if I would have ever had a stroke? I believe that I would not have had the stroke. Thanks for your reply, and yes it really begs the question, would any of us suffer from the things we suffer from if we were to always eat this way. Your story really is inspirational, and I will be sure to point anyone in the same situation as you towards it. Great story. Reminds me of myself. My story was posted last October on MDA and runs along the same lines. Sounds like we are about the same age and went on the same journey. Not much help from our medical teams who provided all the same stale non-answers. Congratulations on your new life. I agree this new knowledge is here to stay but will take many years to become mainstream. Some (probably many) people will never accept it. That is the challenge. “Sugar aliases”, that’s a good word. I’m going to start calling cereals, pasta and other carby food that from now on. “Why didn’t my physicians help me understand why I had a stroke, and how I should improve my lifestyle to get healthy?” — Indeed, and why didn’t the doctor suggest that I try going without wheat when I told him I often got blisters in my mouth? Instead he just suggested I put a creamy sort of medicine on them. It didn’t help one bit. But when I went paleo, aside from reducing my weight eight kilo easily, it eliminated the blisters. I had some white bread a week ago, and I got a blister in my mouth again, as I knew I probably would. It has happened before, showing that my decision to follow Mark’s advice was the right one. I’d like to tell my doctor about this so he can do his job next time. Fantastic testimony, Dr. Danenberg! 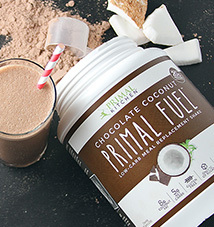 It’s wonderful to see someone in your position continue to spread the word on primal nutrition. You’ve come a long way since I first interviewed you and will likely be a pioneer for primal nutrition therapy in dentistry! What a fantastic story – except for the near death experience part. 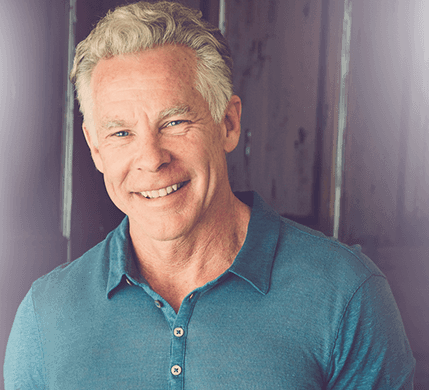 You may have been initially excited anticipating the 5-day program to re-enforce and expand your established knowledge of conventional nutrition, but it is even more exciting that you were instead surprised by the discovery of the Primal Blueprint path. This seems to be the common thread in all the Success Stories found here on MDA. (Mine was posted the Friday after Thanksgiving last year in 2013.) 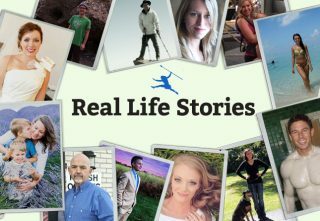 Stories like yours add valuable weight to the Primal lifestyle movement since you are a more open-minded medical professional having the ability and capacity to directly influence a large audience. Your work and research into the holistic effects of proper nutrition on oral hygiene and overall health really boost the drive to expose the flaws found in the in’grain’ed self destructive beliefs of the current health care/nutrition system. You have discovered that true health comes from the inside out and not by solely slapping a balm on the external manifestations of a deeply fractured approach to health and living. Keep up the good work, and I love your website. Side note: Kripalu is a great place to back up and ‘re-boot’. Thank you for your kind words. I am writing a book titled, “The G.U.M. Protocol: Is Your Diet Giving You Gum Disease?” I want to spread the word, and I hope this is a way of getting it out there. Great story. I’m almost 66 and broke my neck 8 years ago. Being a lifetime martial artist I found myself slowly turning into a slug. I gained 69lbs and had a hard time tying my shoes. I did the yoyo diets, killed myself at the gym and always ended up right back where I started, fat and unhappy. Discipline wasn’t a problem my approach sucked. Thank you dear Doctor! Your testimony is really encouraging. Can you explain further (specifically) the “shock”, the feeling that you had? You can share a feeling that will help others recognize what is happening … (we are often too careless with ourselves:-() I thank you in advance.! Great question. The shock was an unexpected tingling sensation. I can compare it to the tingling sensation of an alkaline 9-Volt battery. If you placed both terminals of a new battery on your tongue, you would receive a direct current and experience a tingling sensation on your tongue. That was the sensation I experienced with slightly more intensity when I thought I was getting an electric shock from my computer. Anyways, I wish more medical professionals knew about Primal Life. We recently moved to a new state and haven’t found our new doctors yet… I am especially curious as to how a Pediatrician is going to react to us feeding our 9-month child this way. We didn’t start her on the traditional cereal. She has never had Cheerios, Goldfish crackers, Gerber puffs or even a jar of baby food for that matter. And I have a question for Dr. Danenberg, Are you looking for a new hygienist to hire? I come Primal adapted. Send me an email with your contact information from my “contact” on my website, and we can talk. My dad is an opthalmologist, and a Primal enthusiast (though he doesn’t use the term himself). Still practicing at 71, with severe scoliosis, but otherwise in screamingly perfect health (and all his teeth!). He says he will discuss “real” nutrition and alternative medical treatments with his patients, if they are interested. Often his patients complain of symptoms that are highly treatable without prescriptions… if only people would take personal responsibility! Thank you so much for your story. 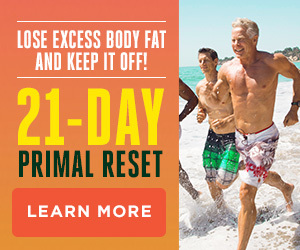 I’ve started (re-started) my own Primal journey … slow and steady wins the race! I needed your inspiration. Thanks so much!